The so-called land-grab phenomenon has been reported from all over the world. Land-grabbing can be described as a process where ownership of what is perceived to be “empty”, “idle” or “unproductive” land changes hands in lucrative deals, to be developed into large-scale plantations to produce food or agrofuels, or both. There has been a rapid expansion in the number of these deals and the amount of land they cover. Studies show that over the past few years between 20-80 million hectares of land have been “grabbed”, though researchers point out that it is difficult to say for sure since most of these deals are surrounded by secrecy. Africa seems to be the main target for large-scale investments but cases have been reported from all over the developing world. Promoters of large-scale farmland investment in the global South, what we view in this context as land-grabbing, claim it is much-needed investment in agriculture. Although it is clear that investment is needed in rural areas and agriculture the question is whether this type of large-scale land deal will bring the type of development that is likely to benefit local people. On closer examination, it is evident that instead of agriculture development, we are looking at a steady increase in “agribusiness” development. The distinction between the two is clear and there should be no confusion as to who stands to benefit and who stands to lose from these deals. The actors behind these acquisitions are powerful transnational corporations or national governments that tap into these “idle” land resources to secure food and energy security at home.In reality though, this land is not “empty” but often inhabited by local smallholders or indigenous peoples who have lived on the land for generations, but whose rights over it are not recognised or upheld. In order to understand this global land-grab phenomenon we need to look more closely at a number of factors that drives acquisitions, key actors behind the deals and their motivations, and what is really happening on the ground. There are a number of factors driving these land-grabs. They can be analysed in the context of the global finance, food, energy and climate crises. 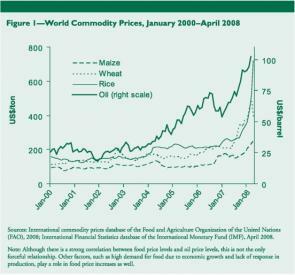 The 2007-2008 global food crisis, during which food prices soared, created political and economic momentum for the acquisition of land. Likewise, the climate change and energy crisis has created a new urgency to find land for the production of renewable energy crops. Together these global crises have created the perception that - given the expected population rise and assuming that resources are finite - demand for food and bioenergy will continue to rise. In turn, high commodity price volatility creates concerns for food and energy security. Although concerns for food security may seem fairly distant to energy security, where they coincide is in the demand for land. A number of key actors can be identified whose actions drive up food prices and land acquisitions. Broadly, these actors populate the business, financial and government sector. The interlinked global financial crisis and global food crisis in 2007/8 contributed to the perception that land and food need to be secured and acquired. Both crises coincide with a dramatic increase in land acquisitions. In 2008 the world was hit by the financial crisis. The crisis called for a re-evaluation of the financial sector. Unsustainable practices, such as the preference for high-risk investments yielding short-term returns, had brought the world’s financial sector to its knees. In response, investors started to look towards more secure investment options, such as land, perceived to yield low-risk and long-term returns. Farmland became an especially attractive investment for three basic reasons. First of all, land prices do not move in sync with other commodity prices, but with inflation, and therefore provide the benefit of a diverse income flow that can balance risk in investment portfolios. Secondly, financial forecasts for the price of food and energy show continuous high prices and demand. Finally, in many parts of the world, especially in Africa, large tracts of land can still be leased or purchased at very low prices. Thus, a simple equation of supply and demand drives the interest in farmland. Another important driver is the expected return on investment. Financial equity firms, hedge funds and asset managers are pouring capital into farmland acquisitions. To give an example, Emergent Asset Management, a London-based hedge and private equity fund, is promising investors up to 270% returns on farmland investments in Africa over a five year period. Despite a growing body of reports showing that these large-scale land acquisitions create conflict and negative impacts at the local level, investments continue to rise because of the expected high financial returns. Source: von Braun et al. (2008). Between October 2007 and October 2008 food prices spiked to unprecedented levels; the price of rice reached 300% above average levels since 2003 and prices for wheat and maize doubled.2008 was also a record year for the global price of oil; and the cause of the crisis has been linked to volatility in both the financial and energy markets. Biofuels have been linked to the food crisis, as land destined for food production is converted into biofuel production. According to one study by the international Food Policy Research Institute (IFPRI) increased demand for biofuel contributed 30% of the increase in average food prices. Another contributing factor is financial speculation in food commodities. 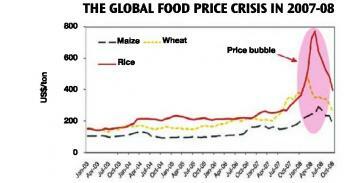 The UN Special Rapporteur on the Right to Food, Olivier de Schutter, concluded in a 2010 report that “a significant portion of the increases in the price and volatility of essential food commodities can only be explained by the emergence of a speculative bubble”. The food crisis caused violent protests all over the world. These events sparked concerns for national food security - not only related to imports but also to social unrest. In response, a number of countries that are net food importers started to outsource their food production in order to secure prices and supply for the long-term. The Gulf States (Saudi Arabia, United Arab Emirates, Qatar, Kuwait, and Bahrain), under the aegis of the Gulf Cooperation Council (GCC), came together under a common strategy and aim to outsource food production in exchange for capital and oil contracts. Since then, individual countries or industrial consortia under the GCC have acquired millions of hectares of farmland around the world. The production of liquid agrofuels is a driving factor behind recent land acquisitions. The expansion of the biofuel industry is associated with the climate and energy crisis and the inevitable need for renewable energy sources. In order to tackle climate change and to meet emissions reduction targets in Europe, the EU is implementing new policies and regulations. The Renewable Energy Directive (RED, 2009) states that 20% of all energy used in the EU has to come from renewable sources by 2020, and that 10% of transport fuel must come from renewable sources by the same year. Another example is the Fuel Quality Directive (FQD, 2009), which includes a binding 6% reduction in greenhouse gas emissions (from 2010 levels) to be achieved by end of 2020 (for more information on both the RED and FQD see DTE’s Agrofuels Update January 2011). Although these policy directives are intended to tackle climate change and promote sustainable energy consumption in the North, they are creating incentives for unsustainable land-use change in the South. This includes large-scale land acquisitions and clearing of forests for plantation purposes; displacing greenhouse gas emissions to the South and further reducing the ability of local populations to adapt to climate change. As the number of land acquisitions around the world started to rise in 2008 so did reports in the media and from NGOs, of displacement and dispossession - not job creation and development. In 2009 the World Bank embarked on an ambitious research agenda to find out what was really happening, and whether it was a case of land being grabbed or whether it was a pro-poor development opportunity. The study is one of the most comprehensive done so far, providing an overview of the nature and extent of land-grabs around the world. The World Bank report is based on a database developed by independent organisation GRAIN and crossed checked with official inventories from the field, including field visits, over the period October 2008 - August 2009. 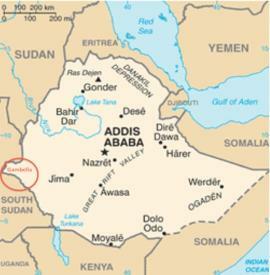 It covers 464 projects, 203 of which contain area information totalling 56.6 million ha, in 81 countries. The report found that 48 percent of projects, covering two thirds of the total area (39.7 million ha) are found in Sub Saharan Africa, followed by East and South Asia (8.3 million ha), Europe and Central Asia (4.3 million, and Latin America and the Caribbean (3.2 million ha). It further confirms the scale of investment ambitions: the median of projects was found to be 40,000 ha, with a quarter of all projects exceeding 200,000 ha. Only a quarter of projects were under 10,000 ha. Commodity data was avaialble for 405 of the projects, showing that 37 percent are focusing on food, 21 percent on industrial or cash crops, another 21 percent on biofuels, and the remainder are distributed among conservation and game reserves, livestock, plantation and forestry. Source: World Bank 2010 (see endnotes). The report also confirms that the majority of projects in the database originate from a few countries. These are the Gulf States, China, North Africa (Libya and Egypt), Russia and western economies such as the United Kingdom and the United States. Key players are agribusiness and investment funds. Contrary to what, according to the report, is the standard preference of foreign direct investment (i.e. strong institutional governance and well-defined property rights), countries with weak governance indicators and where local land-rights are unsecured appear to be most attractive to investors. For most projects social and environmental impact assessments were not conducted, despite high risks. Although some countries require these to be carried out by project developers, including Indonesia, in reality these regulations are either ignored or even if conducted compliance is rarely monitored. Another interesting finding was that, contrary to what is often reported in the media, the majority of investors were of domestic origin not foreign. Finally, the report found that contrary to what was often promised, the level of job creation and physical investment was often very low. The World Bank study concludes that many of the investments did not live up to expectations in terms of job creation and sustainable benefits, but instead left people worse off than before. Similar findings were revealed in a previous study by Cotula et al, 2009, which also set out to investigate the nature and implications of the current land-deal trend. Yet despite these controversial and quite clear findings there still seems to be some confusion as to whether large-scale land acquisitions can indeed bring development benefits for local people. The World Bank (2010) put forward a set of guiding principles for investors and developing country governments in order to avoid negative outcomes of projects. However, as already pointed out by their findings, large-scale investments are concentrated in countries with low levels of institutional governance and enforcement. In this context it is questionable whether a set of guiding principles are likely to have the intended impact. In order to understand the gap between what may, in theory, look like an opportunity for pro-poor development and what happens in the reality we will look a set of case studies. As this edition of the DTE Newsletter is a special issue on Papua, we thought it appropriate to start with one of the most controversial land-grabs in Indonesia happening right now. This is the Merauke Integrated Food and Energy Estate (MIFEE), currently being developed in the southern part of Papua in Merauke regency. MIFEE is a mega-project covering 1.28 million hectares of commercial plantations claimed to be part of President Yudhoyono’s dubious vision to “feed Indonesia, feed the world”. So far at least 36 investors have secured concession permits. Most are Indonesian but companies of Japanese, Korean, Singaporean and Middle Eastern origin are also thought to be involved. The principle commodities to be produced under the umbrella of MIFEE are timber, palm oil, corn, soyabean and sugarcane. By the middle of 2011, more than half a dozen of the investors granted permits for MIFEE are thought to have started work in their concession areas, including companies associated with the powerful Medco and Rajawali groups. Although MIFEE is still in its early stages there are serious concerns for the social and environmental implications of the project for local populations and their livelihoods. MIFEE is being promoted as a development opportunity, where jobs will be created not just for local Papuans but also for transmigrant workers. The project is also said to promote national food security, as well as energy security. However, in reality the majority of land concessions are allocated for industrial timber plantations (over 970,000 ha), with oil palm (over 300,000 ha) and food crops (69,000 ha) in second and third place.This data suggests that MIFEE is not primarily motivated by food and energy security concerns but by economic interests. Reports from villages affected so far indicate that MIFEE poses a serious threat to local communities. Those indigenous communities that have engaged in deals with the companies have been under-compensated and cheated of the land that have belonged to their communities for generations and make up part of their cultural heritage. The process of land acquisition has been characterised by a lack of transparency, an atmosphere of intimidation and concerns about security thanks to the presence of the military. There is a dearth of appropriate information reaching villages regarding the potential impacts of the project on their lives and what rights they have to reject or accept company offers’. Local civil society organisations have also reported that capacity building meetings have been interrupted by the military, who use the excuse of national security to threaten villages and stop meetings. Thus, in many ways MIFEE is a politically and economically motivated land-grab that is bringing more threats than opportunities to affected communities. In Sierra Leone Swiss company Addax bioenergy Sierra Leone Ltd, a subsidiary of Addax & Oryx Group, has invested in plantations to grow sugarcane for ethanol production, mainly for the European market. 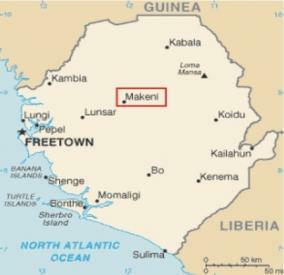 The company won a 50-year lease for a 20,000 ha project in the Makeni area, promising at least 7,000 new jobs to be created during the initial 5-year period (2010-2015). The project was promoted with “unwavering government support” and it is hailed as the most developed land deal in Sierra Leone. At least on paper it is the “perfect” project. Supported by European Financial Institutions and the African Development Bank the project comes under the Equator principlesand must adhere to the principles of the African Development Bank. Furthermore, Addax is a member of the Roundtable on Sustainable Biofuels and the Better Sugar Initiative (BSI). 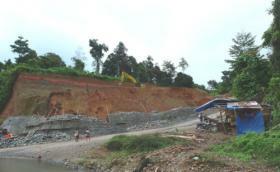 The project was designed to bring socio-economic benefits and to respect the local environment. One of the conditions set by local chiefs was that the local rice swamps, so called bolis, would not be drained. Furthermore, the Memorandum of Understanding and the project’s Environmental Social and Health Impact Assessment state that food security in the area should be ensured through the development of a Farmer Development Program. In reality, when land was cleared to make way for the sugarcane, traditional food crops such as cassava and wild palm (used to extract cooking oil) were destroyed, irrigation channels have drained some of the rice swamps, and there is still no sign of the Farmer Development Program. So far the project appears to be increasing food insecurity in the area. This could be compensated for if farmers were earning a wage to buy food from the market. However, employment has been very low (figures vary between 50-200) compared to what was promised, and workers are paid a mere USD 2.25 per day instead of the promised monthly salary. According to Addax Bioenergy, nobody should be worse off because of the project, and vulnerable people like land-tenants will be adequately compensated or given alternative land for grazing and cultivation. However, these promises have not been for filled and rather than improving local conditions the project appears to be adding to the poverty burden of local communities. In Ethiopia, Saudi Star Agriculture Development Plc, owned by Saudi billionaire Al Almoudi, has acquired a 10,000 ha rice estate in the Gambella region. The lease came rent-free for a 60-year period, which further induced the company to plan another 500,000 ha of plantations in Gambella and elsewhere, producing 1 million tonnes of rice, maize, teff, sugar cane and oil seed for export. Local government officials claimed that project developments would not be allowed on conservation or forest areas, or on land that is already farmed. However, the Ethiopian Wildlife Conservation Authority estimates that nearly 438,000 ha of land has been cleared in an area that was formally understood as the Gambella National Park, although not gazetted. Fragile wetland areas have been altered to make way for rice production, extensive areas of forest in nearby areas have been cleared, and there are plans to dam the Alwero River. So far activities have been carried out without any environmental impact assessments or consultations with local communities. As in our other example, Saudi Star promised a number of job-creation programmes in the area, as their operations require around 4000-5000 workers. What was not made clear from the outset was that this employment was on a seasonal short-term basis. Researchers reported from one of the farms (500 ha sesame farm) that although 900 jobs were created a year these were approximately only for a duration of three weeks in total, only 50 positions were full time. In order to make way for the project, the government is re-introducing a ‘villagisation’ program, stirring bad memories of similar schemes from the past. This involves resettling approximately 45,000 households in the Gambella region into smaller villages of 400-500 households elsewhere. When speaking to researchers from the Oakland Research Institute, people expressed fears over the impact of resettlement on their food security, and affirmed that they did not want to move but felt like they were being compelled to do so by the government. In the Gambella region 1.1 million ha of fertile farmland, nearly a third of total fertile land, has been leased and during the past three years 896 companies have come to the region. Despite an obvious link between the recent re-introduction of villagisation and the surge in interest in farm-land, local officials are adamant that this is a coincidence, and that resettlements are voluntary and done for the benefit of the people, to give them better access to social services and infrastructure. Here, as in Sierra Leone, the beneficiaries of these investments seem to be sitting at high levels of government and the companies are getting the deal of a life-time, acquiring land virtually for free. The current trend in large-scale agricultural expansion must not be confused with pro-poor development. This is not a question of rejecting much-needed investment into agriculture and rural areas; rather it is a wake-up call that these developments are not beneficial but harmful to both the environment and local people. The recent food crisis further heightened the need to increase food production and food security, but, as pointed out by the UN Special Rapporteur on the Right to Food, Olivier de Schutter, the issue is not about increasing allocation of funds to agriculture but rather of “choosing from different models of agricultural development which may have different impacts on and benefit various groups differently”. As this article has pointed out, the current model benefits at first hand agribusinesses and their business partners, and not those most vulnerable to famine and high food prices. The tendency of large-scale plantations and contract farming to be concentrated in pockets of persistent poverty is an issue that has been discussed for a long time within agrarian studies and it has been well documented. Whereas the common assumption among World Bank circles is that Foreign Direct Investment flows to areas of good governance and well-defined property rights, the Banks own research confirms that capital flows to areas where labour and land-rights are insecure and not protected by the legal system and its government. Where wages are endemically low the conditions for capitalist exploitation and profit maximisation are high. Under these precarious conditions these large-scale land-use projects become specifically problematic when they displace and dispossess people of their most valuable asset and security, which is their land. The case studies presented here tell a story of dispossession and disempowerment. Instead of providing opportunities for the poor these land deals appear to make affected communities worse off, not just for now but for generations to come. What is more, these large-scale acquisitions have more far-reaching consequences as they take up large tracts of fertile land and use it for the production of export produce. In countries like Ethiopia, where famine is a recurrent problem and the government is still dependent on food aid, this becomes a particularly problematic and controversial issue. Anna Bolin is an independent researcher on climate, land and REDD, who recently undertook an internship with DTE and Tapol. A 2009 study by International Food Policy Research Institute puts the estimate at 20 million ha, later increased to 45 million ha by the World Bank (2010) and finally the International Land Coalition increases the estimatet to 80 million ha. von Braun (2008) as above. De Schutter, O. (2010) Report of the Special Rapporteur on the right to food. Report presented at the United National General Assembly, 65th Session, 11 August 2010. World Bank (2010) as above. World Bank (2010) as above. 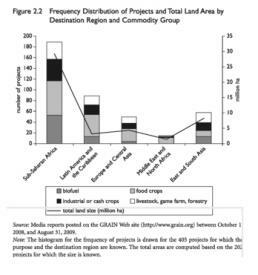 Cotula, L., S. Vermeulen, R. Leonard, and J. Keeley (2009) Land grab or development opportunity? Agricultural investments and international land deals in Africa. London, International Institute for Environment and Development (IIED). 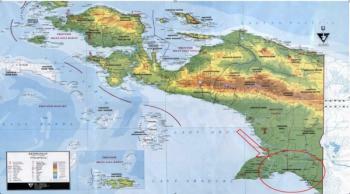 http://www.vhrmedia.com/MIFEE-Is-Damaging-Food-Security-in-Papua-news5751.htmland Longgena Ginting and Oliver Pye, 2011. Resisting Agribusiness development: The Merauke Food and Energy Estate in West Papua, Indonesia. Land Deal Politics Initiative. Another report dated two months earlier indicates that the project area is 40,000 ha and the amount of jobs created is 50 out of 2,000. However, in order to avoid confusion we are using data from the latest briefing from the Oakland Research Institute dated June 2011. The Guardian, March 21st 2011, as above. Beckford, G. (1972) Persistent poverty: underdevelopment in the plantation economies of the Third World. New York: Oxford University Press; Little and Watts in Borras, S.M. Jr, Hall, R., Scoones, I., White, B. and W. Wolford (2011) ‘Towards a better understanding of global land grabbing: an editorial introduction’ Journal of Peasant Studies 38:2; Li, T.M. (2011) ‘Centering Labor in the land grab debate’, The Journal of Peasant Studies, 38(2): 281–99. Li, T.M. (2011) ‘Centering Labor in the land grab debate’, The Journal of Peasant Studies, 38(2): 281–99; Bernstein, H. (2010) Class dynamics of agrarian change. Halifax: Fernwood Publishing.